Renovation size: 6,367 sq. ft. 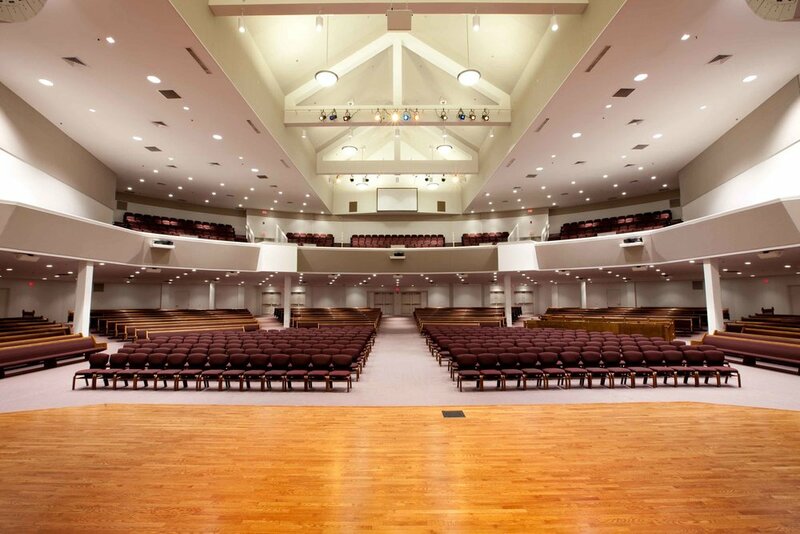 The renovations to the existing Good Shepherd Chapel included the addition of approximately 340 seats to the mezzanine of the chapel area, conversion of existing classroom space into a large choir rehearsal room, and the addition of three (3) musical practice booths. Renovations also included the relocation of a sound booth to the main level and the addition of sound-absorbing materials in the chapel. Audio, visual, and lighting improvements were also made to the facility, allowing the college the ability to promote a diverse selection of events.